Real estate investors, if it's financially beneficial, can assume an existing mortgage from the seller when acquiring an investment property. When this is done, there is a proration required for the assumed mortgage interest. As mortgage interest is paid in arrears, the seller will owe the buyer for interest "to or through" the closing date, as the buyer will be paying that interest on the next payment after closing. As with most prorations, we'll need to know from the purchase agreement whether we'll be prorating to or through closing. Calculate the days of interest the seller owes the buyer. Determine the amount per day of the interest. Multiply the number of days by the amount/day for total. Let's do a sample proration. A real estate investor is closing on a rental property on the 16th of July. The mortgage balance is $257,505, with interest rate of 6.75%, and we're using a 365 day calendar year. We'll be prorating "through" the day of closing. This means that the seller is paying for the day of closing interest. Days seller owes to buyer is 16 for July 1 through 16. $257,505 X .0675 = $17381.59 divided by 365 days = $47.62/day. $47.62/day interest X 16 days = $761.92 from Seller to Buyer. This would be a DEBIT to the Seller and a CREDIT to the Buyer. The proration of mortgage interest in assumptions is actually not that common, as mortgage assumptions aren't common. 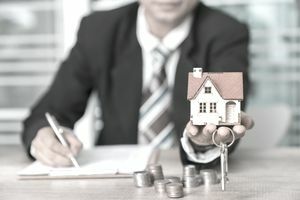 There are a number of items in a closing statement, residential or commercial, that require a pro-rating of monies to make sure the buyer and seller are paying their fare share based on the closing date. Property taxes are paid in arrears, meaning for the previous year. Property tax prorating is probably the most common, as taxes are typically paid annually, not monthly. Also, if there's a mortgage, then there is likely an escrow of taxes collected monthly to be sure that the annual billed amount can be covered when received. Based on the date of the closing, the buyer will get a credit for the amount of tax that will be due from that day back to the beginning of the tax year. Then they will pay the full tax bill when due. The seller will effectively be paying their portion of the year's taxes to the buyer to then be used at tax time. The buyer will be responsible for insurance from closing day. The seller may have prepaid some insurance, so would receive a credit for any amount they have paid covering days after closing. This is more common in apartment and multi-family deals, but single-family homes are also rented. A closing would have to be on the very last day of the month to avoid a rent proration requirement. If closed for example in the middle of the month, the seller will have already collected rents for the whole month. The buyer will get a credit for the rents from the middle to the end of the month. There are different ways to structure commercial leases. Some have tenants paying a portion, or even all, of taxes and other costs of operation. Any of these could require prorating, and for a retail office complex or shopping center, this would require calculations for every lease space if sharing the expense with the landlord. We've already mentioned the proration of commercial rents, so for a big retail rental space deal, there could be a lot of these calculations. That's why there are accountants. Virtually any real estate transaction involving pre-paid or post-paid amounts will require a pro-rating of those items on the closing statement. It's not something the real estate professional does, but they need to be able to explain it to their buyer or seller client.